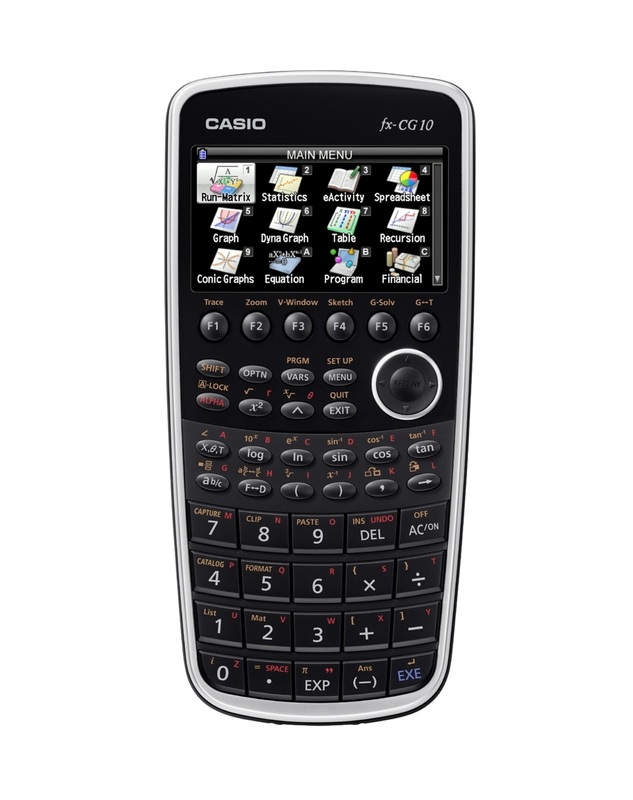 Innovative, dynamic and full of color, Casio’s PRIZM calculator represents the latest innovation in classroom technology. The PRIZM™ is the world’s first color LCD graphing calculator that lets students bring math to life. 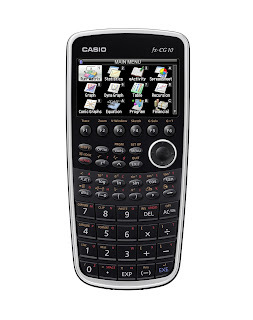 The PRIZM includes Casio’s proprietary “Picture Plot*1” technology, which enables users to perform meaningful mathematical equations on top of real-life images, transforming how technology is used in the classroom. PRIZM advances the next-generation of graphing calculators with its high-resolution color LCD and various functions designed to assist with math lessons. PRIZM includes the world’s first Picture Plot*1 function that enables users to plot graphs over curves and other familiar shapes in real life, such as the parabola of jets from a water fountain. The high-resolution color LCD delivers full textbook-style display. PRIZM is revolutionary among graphing calculators with features that enhance users’ understanding of mathematics. With conventional graphing calculators, students learn by inputting equations to create graphs. PRIZM creates a whole new way to learn math by enabling students to experiment by creating their own graphs over pictures of real-life scenes, and then understand the functions from the graphs that they created on their own. The color LCD offers full textbook-style display with the highest pixel resolution (82,944 dots) and widest color reproduction (65,536 colors) of any calculator. PRIZM comes with high-resolution fonts up to 18x24 dots (including blank dots), to enable equations and text to be displayed just like they appear in textbooks. The Blanview LCD delivers superior visibility and low power consumption, enabling color display with an estimated run time of 140 hours on four AAA-size alkaline batteries. Picture Plot enables users to create their own graphs over pictures displayed on the color LCD. PRIZM comes with 55 types of color pictures that users can create graphs over, such as a picture of the parabola of jets from a water fountain and an image sequence of a clock’s pendulum movement. Users can perform regression calculations from the completed graphs to enhance their understanding of math functions. Colors can be added to a multitude of graphing objects including dotted lines, circles, and bars, as well as grid lines on graphs, labels of coordinate axes, and coordinate values displayed during tracing. The Color Link function links the colors used in graphs to the designated values in the spreadsheet screen, to aid the visual comprehension of trends and changes in values. PRIZM automatically color-codes brackets when entering equations with multiple brackets, as a visual aid to facilitate the entry of complex equations. PRIZM also features an all-new case design that is the model look for the next-generation graphing calculator. It retains the key layout and style of operation that is popular among users of Casio's graphing calculators, but packages them in an attractive and sleek new body shape. Users can also connect PRIZM to Casio’s GREEN SLIM Projectors, the company’s newest data projectors, to project graphs and equations on a screen and facilitate students learning and aid teachers in the classroom. For more information on PRIZM, visit www.CasioEducation.com. Buy It: You can purchase PRIZM for MSRP of $129.99 at many local retailers.